This expression conceived by Renato Castro, founder of LORCA, inspired by a deep feeling of loving compassion toward animals, has always been the guiding principle of our business and is still considered the summary of our mission. Buying a product from us means joining a large family whose common main goal is to prevent, as much as possible, unnecessary and cruel suffering to innocent and defenseless animals who often receive in return for their loyalty and love, abuse, abandonment, and death, often with physical and moral sufferings even more harrowing as they are unable to understand such a terrible cruelty. Since the beginning we have chosen as a sales policy to contact directly to the consumer right to contain, as much as possible, the price, which is extremely cheap compared to what would be charged by a shopkeeper. Everything to make our product, an alternative to fur, to have the widest possible diffusion. This is a real war that is bringing to the extinction of one the most spectacular and fascinating species on the planet. 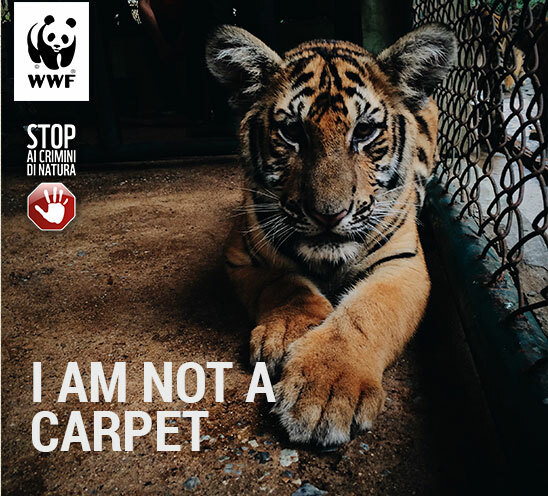 To try to stop the extinction of the Tiger, the 13 countries that still host these animals in 2010, supported by WWF, signed an agreement in St. Petersburg aimed at an important cooperation to stop the bloodshed and double the number of Tigers by 2022.